Harry’s Tire’s Accessory Division aims to make your car more personal, convenient, and luxurious. We can give you more privacy with window tint, make a CNY winter morning a little less frigid with a remote starter and heated seats, or get your car audio/video experience up to that next level. You know you can count on the work we perform and know that we’ll stand behind everything we do, just like we have for the last 105 years of doing business in Auburn, NY. Give us a call at 315-253-5354315-253-5354 (option 3) to schedule an appointment with our accessories division. Harry’s Tire makes getting into your car far more comfortable. Whether it be in the blistering heat of the summer or frigid cold of a central New York winter, simply press a button on your key fob and know that your car will be the perfect temperature when you get in. All remote starter installations done by Harry’s Tire are backed by a no-nonsense lifetime warranty* so you know that you’ll get to enjoy the convenience of getting your car up to temperature and thawed out for many winters to come without having to go into the weather yourself. 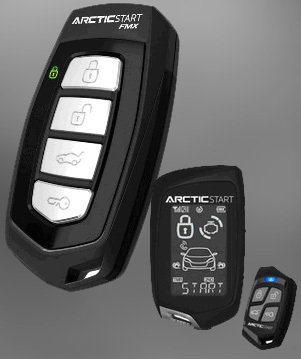 Our Remote Starter installations range from a simple one-button remote with an 800ft range to the DroneMobile (https://www.dronemobile.com/how-it-works/) system which adds cellular and GPS integration allowing you to start, track, and check on your (or your loved ones) car from anywhere on the planet. Harry’s offers all levels of car audio and video, from replacing your outdated radio to multi-thousand watt custom multimedia systems. Harry’s offer all levels of window tint and we guarantee our results. **NYS has tasked Inspection stations, like Harry’s Tire, with preventing vehicles with tinted windows (https://dmv.ny.gov/registration/tinted-windows) from passing NYS inspection. We absolutely can not deviate from NYS law in this regard.